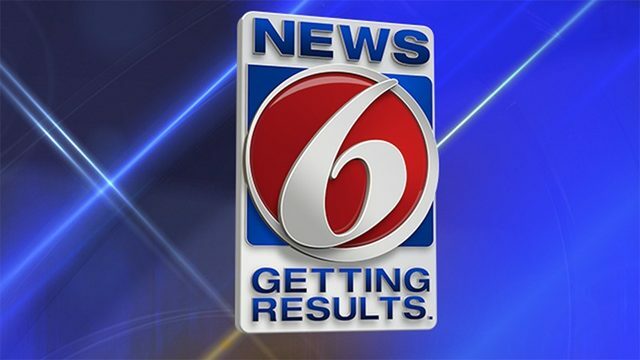 KISSIMMEE, Fla. - A Florida man built a hidden fuel bladder into his pickup truck to conceal more than 1,000 gallons of diesel fuel purchased with dozens of stolen and fraudulent credit cards, according officials with the Osceola County Sheriff's Office, who said he would have gotten away with it, if it wasn't for some observant Wawa employees. 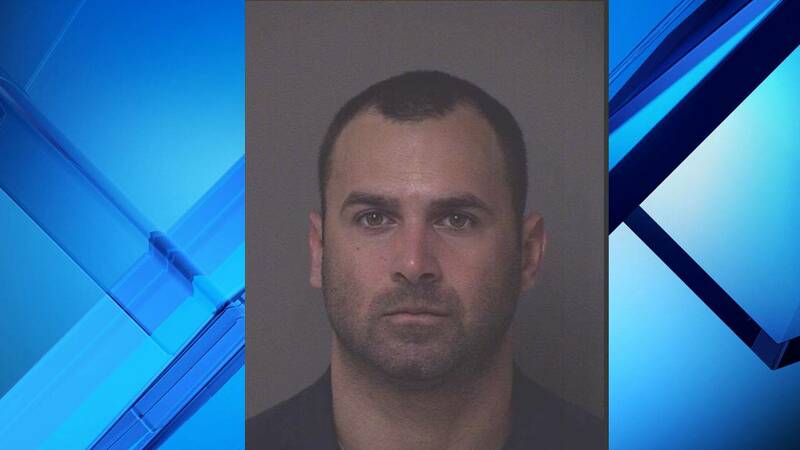 Deputies pulled over Orlando Gonzalez-Menendez, 35, in Kissimmee on Wednesday after he left a Wawa gas station on North Orange Blossom Trail. Wawa employees called authorities after they said Gonzalez-Menendez made multiple $100 transactions for diesel fuel and put it all in his F-650 pickup truck at one time. The employees suspected the truck may have an illegal fuel bladder, according to the arrest report. Gonzalez-Menendez spent $500 on Wednesday for 161.34 gallons of diesel fuel, records show. Orlando Gonzalez-Menendez, 35, faces dozens of credit card theft and fraud charges. The deputy who initially pulled over the truck wrote in the arrest report that he smelled an "overwhelming and distinct odor" of diesel fuel. The doors of the storage compartments on the back of the F-650 were welded shut, which is where deputies found a hidden metal tank, according to the report. Deputies said a switch behind the driver's seat had been installed in order to activate a fuel pump to the hidden tank. Florida Highway Patrol troopers estimated the tank could conceal about 1,170 gallons of fuel. After placing Gonzalez-Menendez under arrest for the tank, deputies searched the F-650 and found 20 credit cards hidden in a cigarette box and another 20 hidden under an orange traffic cone in the utility compartment of the truck. A total of 47 credit cards were found in the vehicle, according to the report. Deputies said 39 of the cards appeared to be counterfeit because the bank identification numbers did not match the financial institutions associated with the credit cards. 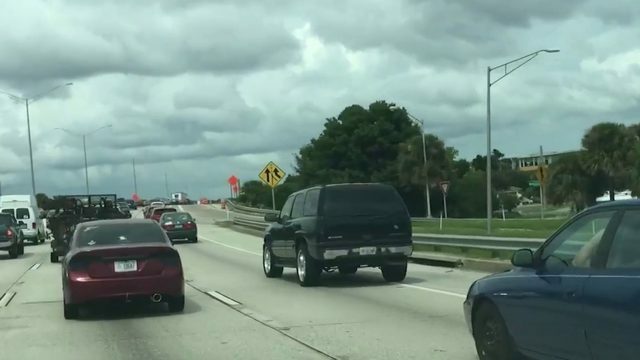 "If that car gets into any kind of accident, it's a driving bomb almost," said Major Jacob Ruiz with the Osceola County Sheriff's Office. Ruiz said these kinds of crimes can be tougher to catch, which is why he asks everyone to look out for anything suspicious going on at the pump. "A pickup truck shouldn't be consuming thousands and thousands of dollars of gasoline," he said. "Don't hesitate to call, let us check it out. if it's nothing, we'll find out its nothing." Gonzalez-Menendez is charged with unlawful conveyance of fuel, credit card fraud, possession of counterfeit and stolen credit cards, credit card theft and grand theft. Gonzalez-Menendez is held on $38,600 bail in the Osceola County Jail.